For those of you who are unaware, granny square afghans may be made from one large square, or many smaller squares--joined together by crochet or some other means. weave in end if desired. 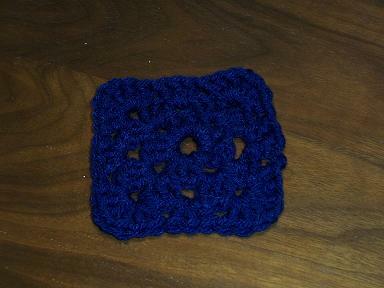 if you are adding a border or joining with other squares, end may be worked in later.